Home Appliance Service, Inc. is your number one source for quality appliance repair in the Treasure Valley! Why waste time and energy trying to just figure out why an appliance isn’t working? Our home appliance repair experts can diagnose the issue quickly, and offer just the repair you need at an affordable rate. All of our technicians are Factory Authorized Trained. We also offer a 30 day warranty on all of our work, and a 90 day warranty on all parts. Do It Yourself types don’t have to feel left out either! We’ve got the parts you need to do the job yourself if you prefer. We’re even glad to offer helpful tips and pointers on the project when you make the order so that it will be sure to go as smoothly as possible. 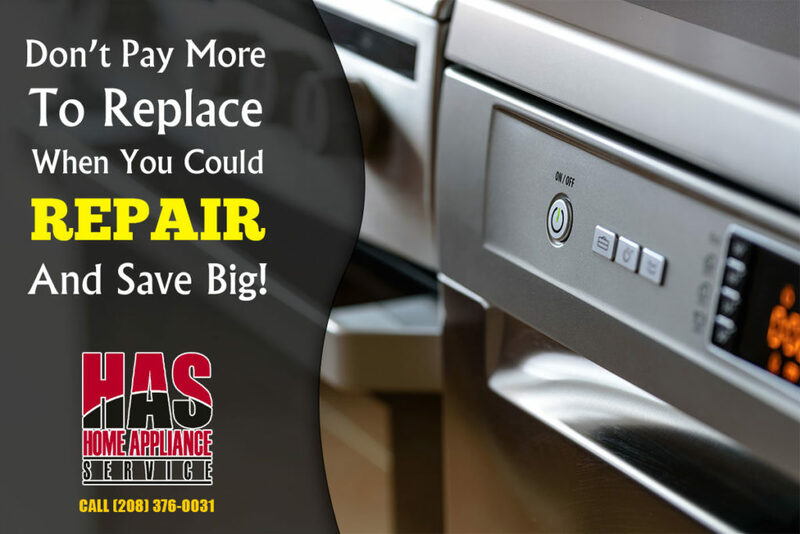 Don’t buy new when you can have your existing appliances repaired! We offer speedy service, our repairs are among the most affordable in the Treasure Valley, and we service and maintain all types of appliances.